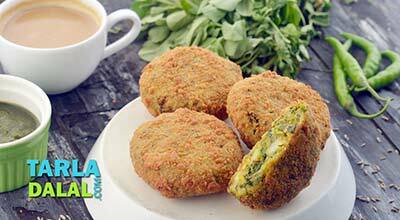 A teaspoon of oil can create wonders, when the other ingredients are perfectly chosen – and this Moong Dal Seekh Kebab is a perfect example of this art. 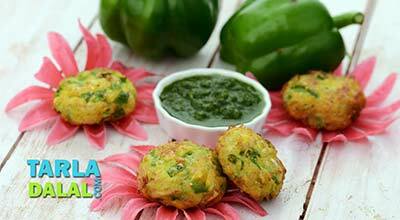 Did you ever imagine preparing crispy, succulent kebabs using such little oil? 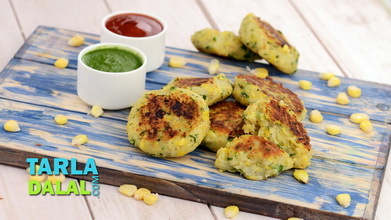 Well, see for yourself how the marvelous mix of moong dal and paneer with ragi flour and spices lends itself to the preparation of tasty, protein-packed kebabs that please the palate and maintain your bones cells! 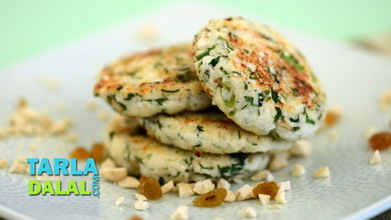 Serve these kebabs with mint and coriander chutney, or wrap them into rotis to make a more filling snack. 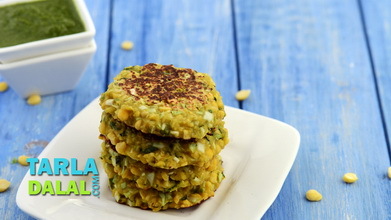 Combine the yellow moong dal, 2 cups of water and salt in a broad non-stick pan and cover and cook on a slow flame for 7 to 8 minutes, while stirirng occasionally. Remove from the flame and drain very well it using a strainer. 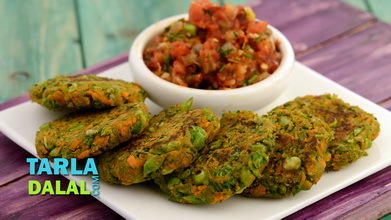 Transfer the cooked moong dal on a plate and cool completely. Divide the mixture into 10 equal portions and shape each portion into a 50 mm. 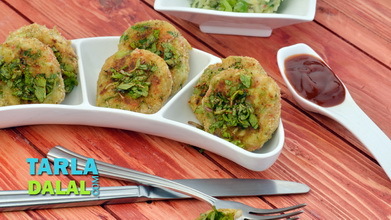 (2”) diameter flat round tikki. Heat a non-stick tava (griddle) and grease it using ¼ tsp of oil and cook the tikkis on a slow flame using the remaining ¾ tsp of oil till they turn brown in colour from both the sides. 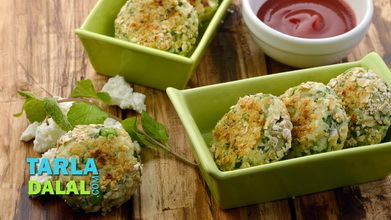 Serve immediately with mint and coriander chutney. In case you have a problem in binding the tikkis, you can add little more ragi flour. Can we use any other flour instead of ragi?? 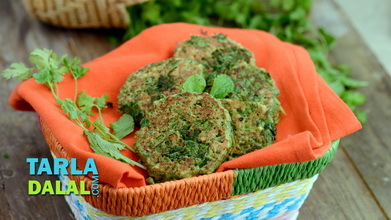 Tarla Dalal Hi Surabhi, You can use besan, oats flour, bajra flour, just the taste would differ and we have not tried it.